Stacey Brandenburg advises clients on privacy, data security, and a range of emerging technology-related issues. A veteran of the Federal Trade Commission’s Division of Privacy and Identity Protection, Stacey regularly represents technology companies and those with an online presence in FTC investigations involving Section 5 of the FTC Act, the FTC’s endorsement and testimonial guidelines, and the Children’s Online Privacy Protection Act (“COPPA”). She also works with clients in responding to inquiries from State Attorneys General and has negotiated settlement agreements with their offices. 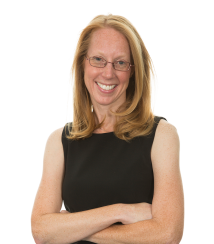 Stacey works closely with clients to develop thoughtful and workable privacy and security policies and practices, guides companies with their implementation, and provides compliance training for employees. She also provides legal advice regarding access to and use of alternate forms of data and how to make appropriate consumer-facing privacy disclosures. As another example of her involvement in an emerging industry, Stacey also has significant experience advising fantasy sports sites and operators regarding compliance with the developing regulatory frameworks and laws. Before joining the FTC, Stacey practiced at Steptoe & Johnson LLP, where she litigated commercial disputes and advised clients on emerging technology law issues. She is in her sixth year as an adjunct at American University’s Washington College of Law, where she teaches about privacy issues raised by new technologies, including social media, big data, wearables, the Internet of Things, and the constitutional issues relating to government access to information. After Stacey received her law degree from the NYU School of Law, where she was a Truman Scholar, she clerked for Judge Ronald Buckwalter in the United States District Court for the Eastern District of Pennsylvania. Stacey earned her B.A. in political science at the University of North Carolina at Chapel Hill, where she was a Morehead Scholar.